Jen’s dream of going to massage school came to fruition in the fall of 2012 when she enrolled in The Lauterstein-Conway Massage Therapy School. It was during her time in massage school that she met Katerina Kormas, co-founder of Unwind Wellness and Massage. Since graduating from the program in October 2013, Jen has been working with personal clients. Jen approaches everything in life with energy, creativity, and intuition; massage therapy is no different. She believes that her ability to listen to your needs and move energy to muscles can promote healing through a careful balance of the mind, body, movement and breath. Her true passion is to help each person she works with find their path to better physical and mental health. Beyond her massage practice, Jen is a Performance Character Coach at a charter school. Jen is in charge of implementing a school-wide performance character curriculum. She helps students discover, learn, and adopt traits such as grit, optimism, creativity, leadership, integrity and courage. She brings these same traits with her to Unwind Wellness and Massage. Jen calls Hutto home and is so excited to be opening Unwind Wellness and Massage here in Hutto to serve her friends, neighbors, and community. This business is a dream that she has had for quite some time now. She is looking forward to meeting YOU and working with you to create a plan that helps you to achieve better physical and mental health. 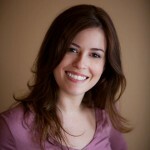 Katerina started on her journey as a massage therapist after relocating to Austin, TX. where she started working at the front desk of the #1 destination spa in the country. She was immediately guided by the staff to become a massage therapist. She enrolled at The Lauterstein-Conway Massage Therapy School where she met fellow Unwind Wellness and Massage co-founder, Jen Rembish. Both Jen and Katerina graduated in October 2013. Katerina went on to work at Lake Austin Spa Resort for 2 years after graduation, as well as working with her own personal clients. 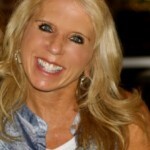 Her approach to massage therapy and body work focuses on the Mind, Body and Spirit. She believes that massage should be added to an individual’s lifestyle, not just once in awhile as a relaxation method, but as a way to deal with stress, maintain correct body posture, increase the body’s ability to function properly, and decrease healing time after injury and illness. The same way we add a gym workout in our weekly routines or dentist appointments every six months, a massage modality should be added as a way to schedule time for yourself away from stress and to continuously release tension from your busy lifestyle. She believes that consistently reminding your body how to let go and heal will help you recover faster from illness, daily workout soreness and traumatic life experiences. Beyond her massage practice, Katerina is a professional life and career coach with True Joy Coaching and holds a career as a Development Director for an organization that helps kids with congenital heart defects. 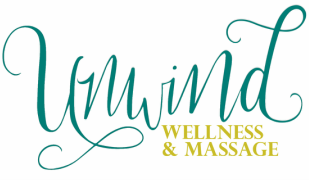 ​Unwind Wellness and Massage is a dream of Katerina’s since massage school and she looks forward to working in the Hutto community and helping you discover the best massage techniques and health resources to fit your needs and preferences.